To provide a positive platform that emphasizes on instructional skill development, life coaching and leadership. Head Trainer and former division-1 college player, Jermaine Seagears will provide youth athletes with intense training to develop their skills set, performance and overall game. Training will consist of game speed drills that will improve ball-handing, shooting, passing, rebounding, defense, foot speed, agility, speed, explosiveness, core basketball I.Q and much more. Training will be demanding and intense, we want athletes to always be comfortable being uncomfortable. The WODE skills academy will provide life coaching development throughout training with coach Seagears. Our focus is to teach youth athletes how to be successful on and off the basketball court. Our point of emphasis is to teach valuable life skills, principles and concepts that will help youth athletes overcome hardships and the failures of life. More importantly, how to accept and appreciate success without becoming complacent on your personal and professional journey of life. 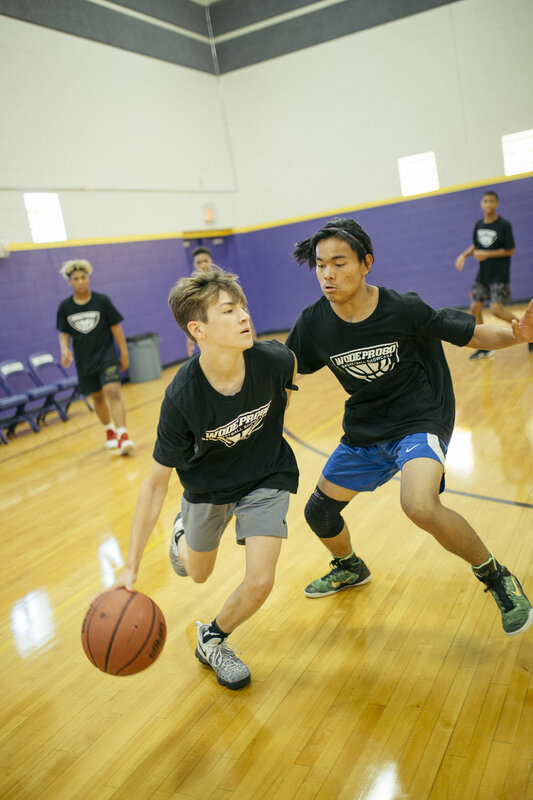 Players will learn a variety of leadership concepts that will help them become more effective leaders on and off the basketball court. During each session, youth athlete will have an opportunity to lead a segment of training, which will empower student-athletes to execute their leadership task. Each leadership task will incorporate a problem they must solve with communication, team work, and critical thinking. Through our leadership program, we want to develop and create more leaders to lead.